Evolutionists have proof of the evolution of the camel. They have a mostly unchanged fossil that they have dated to be very old, and then assert that it evolved. No evidence, no mechanism, but it evolved because they said so. That's evolutionary "science" for you. But more than that, the camel has long-distance and hot weather survivability that show its amazing design. This alone is evidence against evolution and in favor of the Creator's design. It is a dry, hot, day in the desert. There is no water in sight. The wind is thick with sand, and the dunes continually shift underfoot. 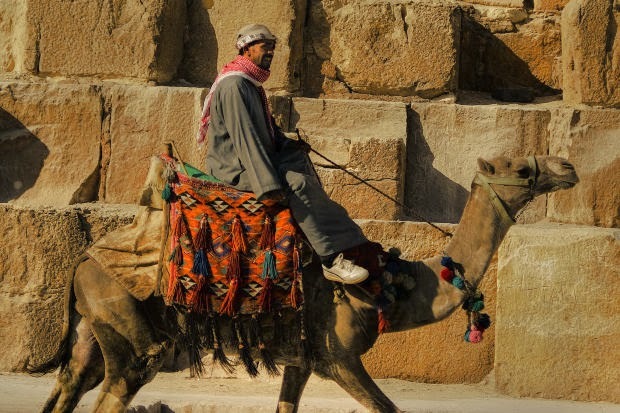 These conditions, which would spell death for most mammals, prove no problem for the camel. This unique creature, referred to throughout history as ‘stupid’, ‘recalcitrant’, ‘obnoxious’, ‘untrustworthy’ and ‘vicious’, has played a vital role in the life of mankind because of its ability to cope with the harsh conditions of the desert. This tolerance is made possible through a number of incredibly specific features possessed by the camel. Extra-long lashes protect its eyes from airborne sand; sensitive muscles in the nostrils close enough to protect its lungs; wide pads on its feet make walking on sand easier; and a thick coat of hair protects the beast from both the midday sun and cold desert night temperatures. However, while these features are fascinating, it is the camel’s ability to survive for long periods without water (up to several weeks if leafy plants are available), and its ‘hump’ for which it is best known. Arabian camels usually have a single hump, while Bactrian camels from central Asia have two. You can read the rest at "Camels — Confirmation of Creation".